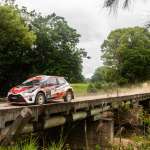 Tankformers’ Eli Evans and Ben Searcy came out firing on day two of Kennards Hire Rally Australia gunning for maximum points, but Toyota Gazoo Racing Australia’s Harry Bates and John McCarthy lead at the halfway point of the event. Evans was fastest on the first two stages of the day but lost more than a minute on SS11 with the Skoda Fabia R5 sustaining a puncture after hitting a rock. Evans wasn’t the only one finding the going rough – both Steve Glenney and Wayne Morton suffered a similar fate on the Urunga stage, all losing time. Bates was fastest on SS11 and SS12 and lead’s day two by more than a minute. The Yaris AP4 sits first outright in the Australian Rally Championship field, with a three minute lead from Glenney in the Skoda Fabia R5. Evans, who received a seven-minute penalty for each stage missed yesterday following their retirement from leg one, currently sits tenth outright, fifty minutes adrift of Bates. Third outright at the midday service is rookie Luke Anear, with co-driver Jon Mitchell. A newcomer to the ARC this year, Anear has been strong and steady in his Subaru Impreza WRX STi, setting some impressive stage times. 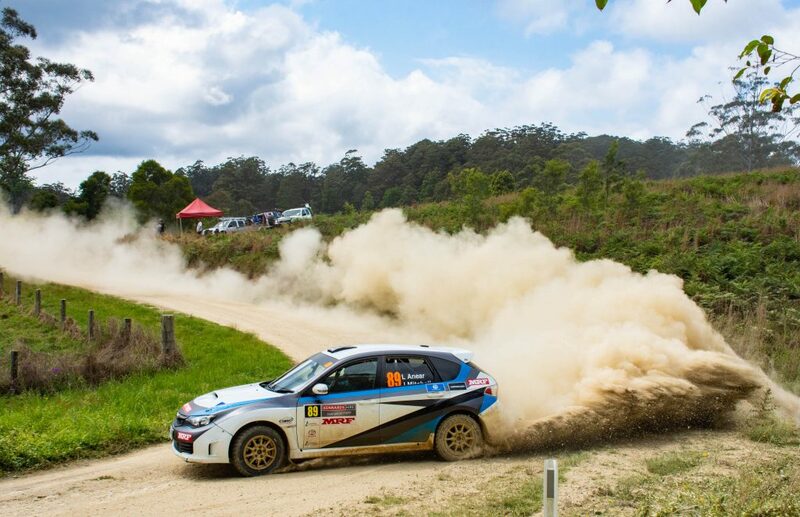 Andrew Penny and Rhys Llewellyn are fourth outright, and also lead the ARC2 winner takes all final, while Morton and Kirra Penny continue to hold their top five spot in the Toyota Corolla S2000. 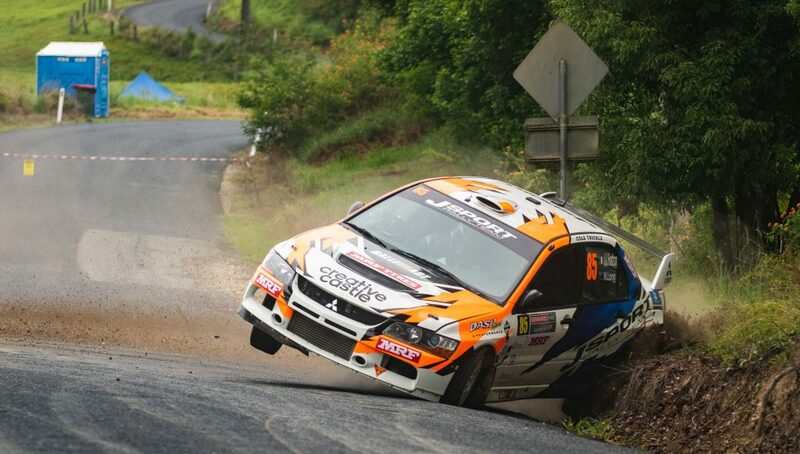 Day two did not get any better for Justin Hatton and Nathan Long – the pair were leading the event at stages yesterday but failed to finish leg one and this morning, the Mitsubishi Evo IX suffered rear suspension damage following an off-road excursion. 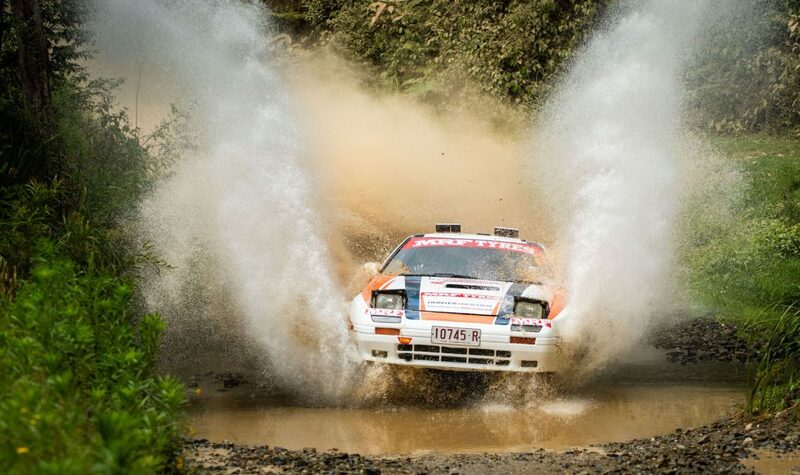 In ARC2WD, Adam Kaplan and Aleshia Penney lead the way in the Mazda RX7, while rival Haowen Chu came to grief on SS10, unable to continue in his Ford Fiesta. Leg two continues this afternoon with competitors completing a second pass of this morning’s four stages before returning to Coffs Harbour for their final shot at the Destination NSW Super Special Stage.